Celebrating 15 years since the foundataion of Nitroplus! Thie Nitroplus 15th Anniversary T-Shirt has arrived at the Nitroplus Online Store! 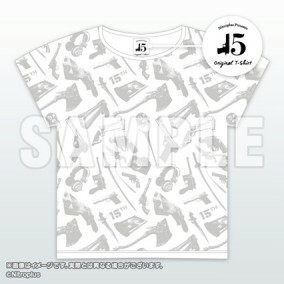 T-shirt features design carefully implemented and executed by Digitarou himself. Available at our low 15th anniversary price of only 5,400JPY! The size of this product is slightly smaller than standard sizes. Please be sure to confirm measurements before purchase. Please note that all sales are final. We do not accept returns for any reason.